← Goodbye Travel Trailer, Hello 5th Wheel! This entry was posted in Watch Cello Grow! and tagged birthday, Cello, German Shorthaired Pointer, gsp, Limoncello. Bookmark the permalink. 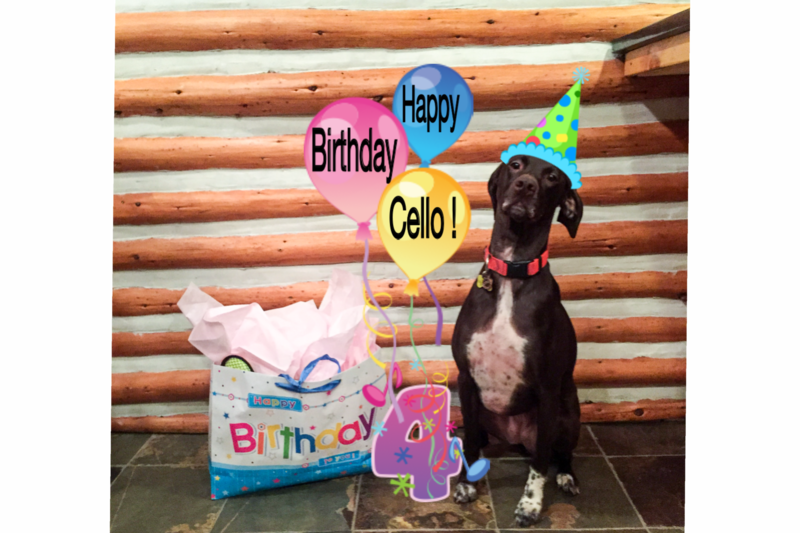 Happy birthday, Cello! Pierre just turned four last week. He says it is an awesome age! We forgot to announce your Turbo gig on the news! We will do that next week!